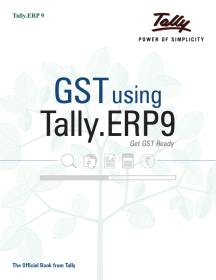 This Tally guru book is from the house of Tally which is India’s renowned business management software company. 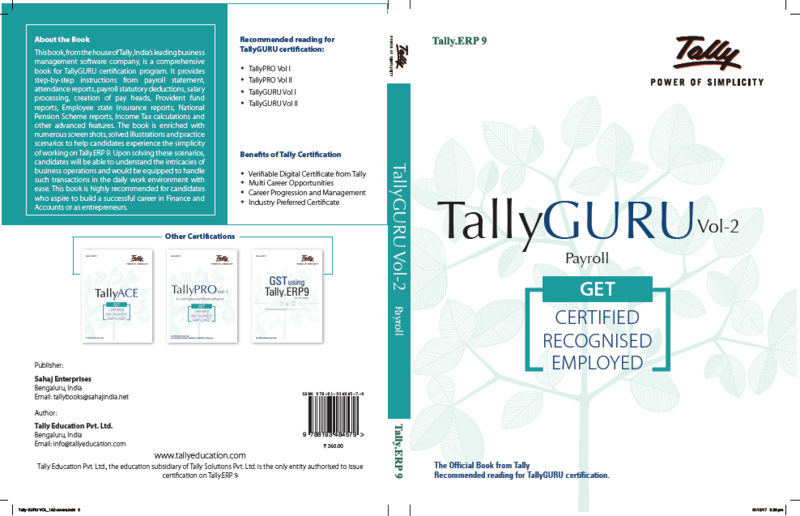 Tally guru vol 2 is a comprehensive book for Tally GURU certification program. 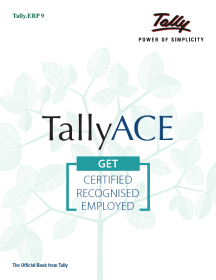 It provides step-by-step instructions from payroll statement, attendance reports, payroll statutory deductions, salary processing, creation of pay heads, Provident fund reports, Employee state Insurance reports, National Pension Scheme reports, Income Tax calculations and other advanced features. 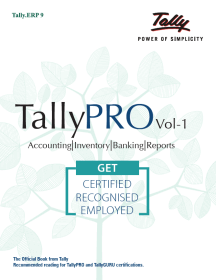 The Tally guru book is enriched with numerous screen shots, solved illustrations and practice scenarios to help candidates experience the simplicity of working on Tally.ERP 9. 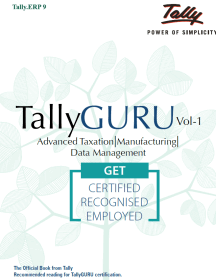 Upon solving these scenarios in Tally guru vol 2, candidates will be able to understand the complexities of the business operations and would also be equipped to handle such transactions in the daily work environment with ease. This book is perfect for candidates who aspire to build a successful career in Finance and Accounts or as entrepreneurs. 1.18.3 Provide Income Tax Details.